Upper Deck brings us a classic brand name in Fleer Showcase. 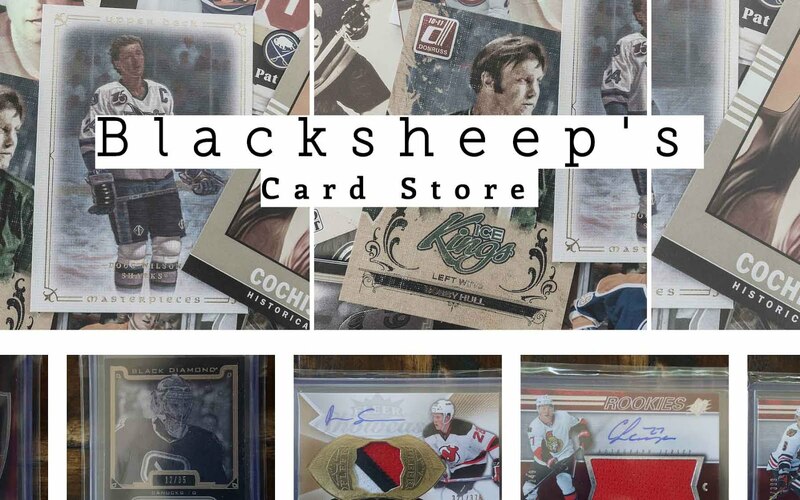 This is a brand that many hockey collectors are already familiar with as there have been many Showcase releases through the years. The rookie patches are probably the biggest draw in this product. They are usually a hit with collectors and should prove to be the same with this release. I have to say that I am not impressed with the Showcase base cards. The cards look extremely pedestrian to me. The white border the surrounds most of the card reminds me of lower-end Fleer products, and the gold hues are dated. Sure, the card has some nice foil highlights on it, but other than that there isn't anything to really like about the card. It's boring. The card back is actually a bit better in terms of its design. Though the image is recycled from the front, at least there is a bit of a difference in that the back photo shows the actual background from which the picture was taken. I also like the fact that the space for the image is relatively large. As for everything else, it's just stats. There isn't a write up or anything too interesting to focus on here. The rookies in Fleer Showcase come in singles, duos, and trios. I have stated before that I am not a fan of that, and I'm still not. Sadly, I didn't receive a single rookie card from the main Showcase set in my box except for a redemption card of Mikko Rantanen. That card is numbered to 499 and should contain a patch. It would have been nice to see in person, but that's just how it goes. Each box of Fleer Showcase guarantees a Hot Prospects patch card. A typical box of 12 packs will also have a couple of hits as well as inserts from other former Fleer properties such as Skybox Premium, Flair, and Ultra. My favorite looking cards are from the Flair Showcase inserts. Flair was one of my favorite brands of the past because the cards were thicker and had a great looking design. The sweet look continues here with these cards. Good luck trying to figure out the numbering though... these cards are as confusing as ever. Both of my hits besides the auto patch were Flair jersey cards. 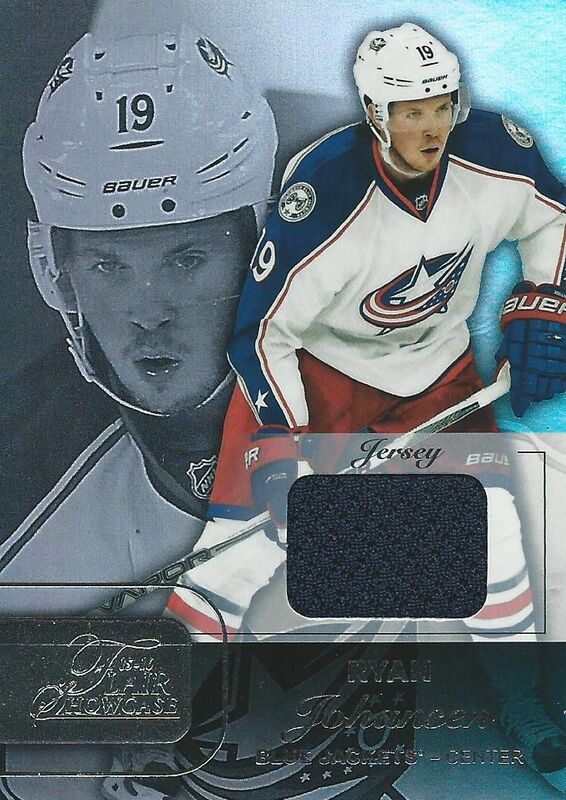 The Ryan Johansen card shown above is a parallel of the standard set. A space is allocated for the jersey piece. I actually think this work quite well as the jersey piece and Flair logo create a nice pairing on the front of the card. 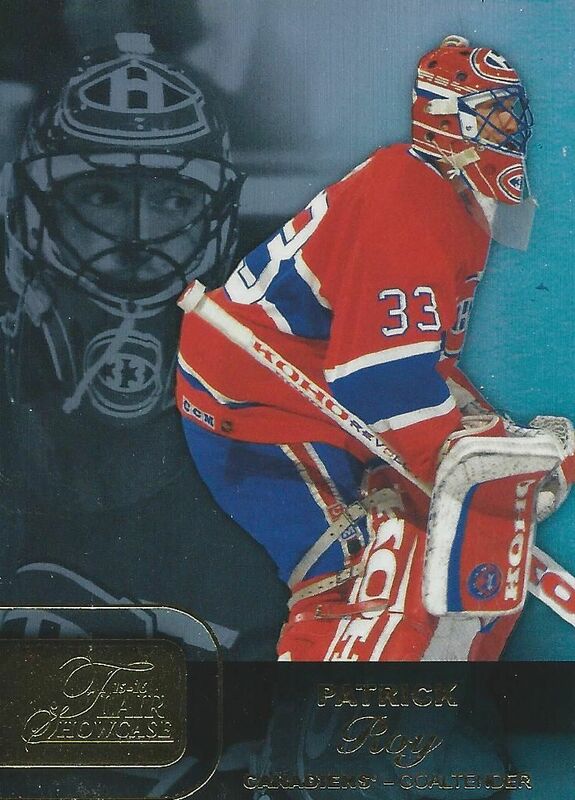 The other hit was a horizontally oriented card of Emile Poirier. I also like the look of this card. Just like the Johansen from before, the jersey piece and the Flair logo work in tandem to produce a card that has a design that really works. Skybox Premium makes an appearance with numbered prospect rookie cards. 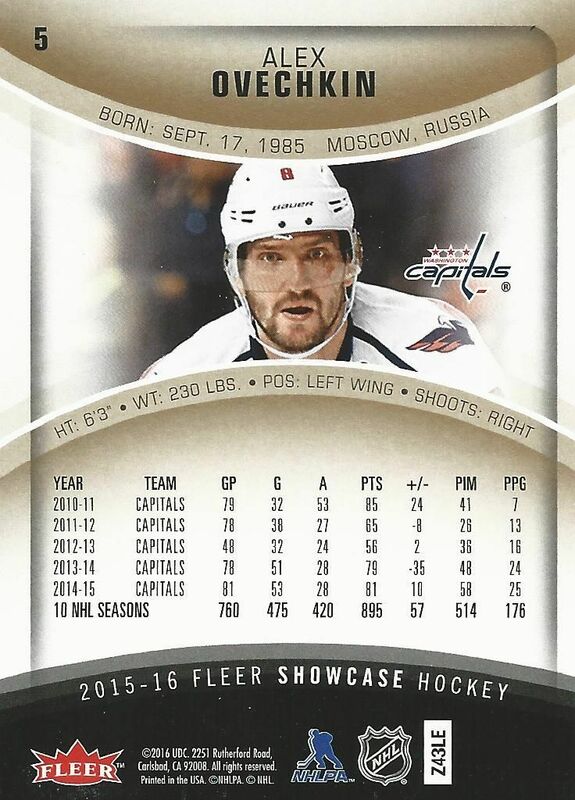 Without a base Skybox Premium set to pair with it, the cards look a bit out of place. It's a decent looking design, but I really wish they didn't use the same gold color that Showcase had. The Ultra Rookies definitely have a distinct design from Showcase, but again, without an Ultra base set, these cards don't really have a reason for being. 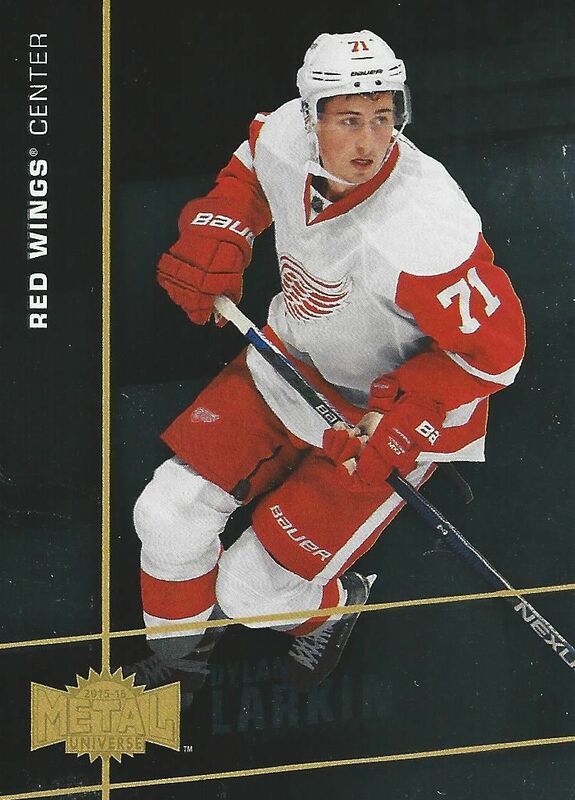 It feels as if Upper Deck just wanted to throw in some card brands of the past to get more rookie cards in the set. Still not got your fill of rookies? Well, thankfully there's Fleer Metal to add even more! Yep, there are even more rookie cards to find that just don't hold any real value for collectors to find. I consider this filler and wish Upper Deck would have just done a proper Showcase set with out all this other stuff in it. That being said, I'm sure that the PMGs from this set will be sought after. Fleer Showcase is simply another product this year to try and fish out Connor McDavid rookie cards. That's really it. The rest of the product just doesn't deliver. 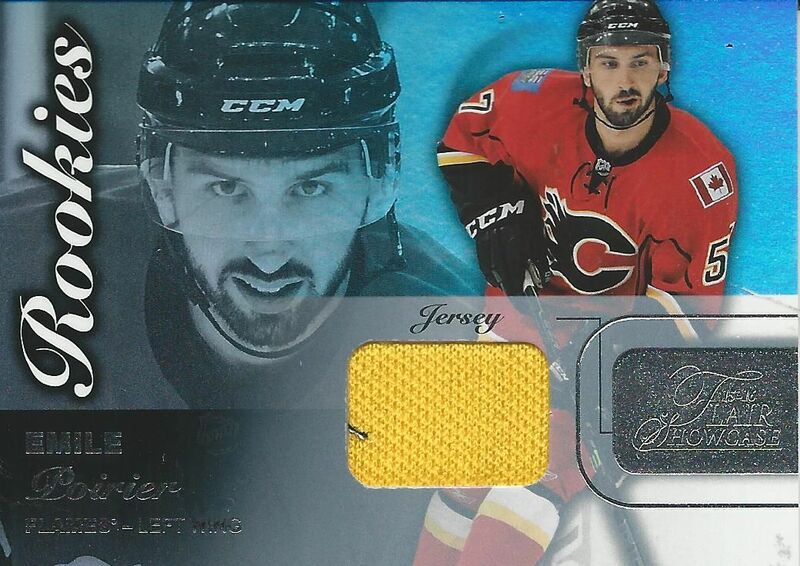 For about $100, you get an auto patch and a couple of jereys (on average). I'm just not sure the value is there for this stuff. Upper Deck tried to cram in a lot of nostalgia into Showcase by adding in legacy Fleer brands. But what Upper Deck did was just add filler to their product. The cards are not interesting and feel like they were an afterthought. Showcase is a product that I can't really recommend. The cards just don't look that good, and the value seems to be lacking. Let's hope the next release is better than this. Great review as always! And I think that the price of the box should go down, in my opinion it is a low end box considering the the player hits that you can get out of it. I would give the box a 4/10 in my opinion. When I first saw your brake, I thought to myself that this would be a great lower-end box to get. Then, I went to see the price and found out that it was 100+$. Once again, Upper Deck is disappointing. Nice review, completely agree on the 5/10! Love all your reviews no matter what the product is. I would have to agree about the base cards. I'm not a fan of 'just the player'. I like action shots. As for the price, I don't think it's worth it unless you get something with a McDavid. Overall good review and am looking forward to the next opening! Hey Blacksheep! Great review as always. Too bad you keep getting those redemption patch autos. Definitely going to pass on this one... Way too expensive for what you get. Nice break nonetheless! Keep up the good work! Thank you for another profesional review! Not bad product but for this price should be better (one big hit more). I'm a big Colorado Avalanche fan so when i saw Mikko Rantanen redemption card I was extremly happy. You're lucky guy! Hey blacksheep217, Sweet review as always! Some decent hits but this doesn't look like a product I would purchase myself. 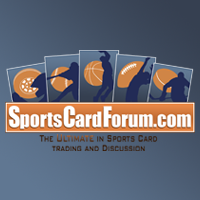 Great review strong base cards cool jersey colors. Price is outrageous. What is good set to start collection with hits. I think everything from showcase last year except for the metal cards. + Flair jerseys looks pretty good with the foiled background. + The patch/autos actually are pretty nice as well. - The black square on the base cards make them feel miscentered? Not a huge fan of this product. 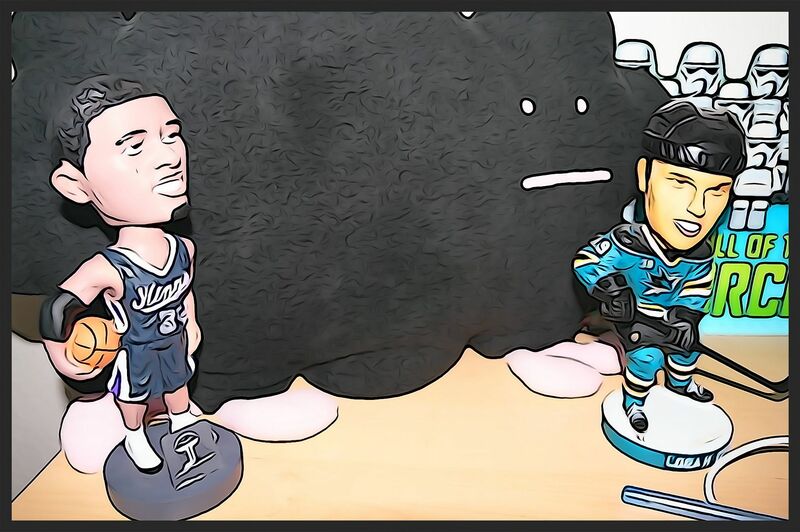 The RPA is cool, nice blog as always! Really honest review. I appreciate you doing these. Upper Deck can't make up their minds as to where this product fits in their lineup so it's baffling that they come up with some arbitrary price and hope that McDavid craze encourages collectors to buy up anything. I recall the base card design being recycled from previous incarnations of Fleer Ultra. Crap like this doesn't encourage occasional enthusiasts to invest anymore in this hobby. Worthless one color jersey pieces can be had thru eBay for cheap. Unfortunate because Fleer Ultra used to be one of my favorite sets back in the 90s. Great video as always black sheep. 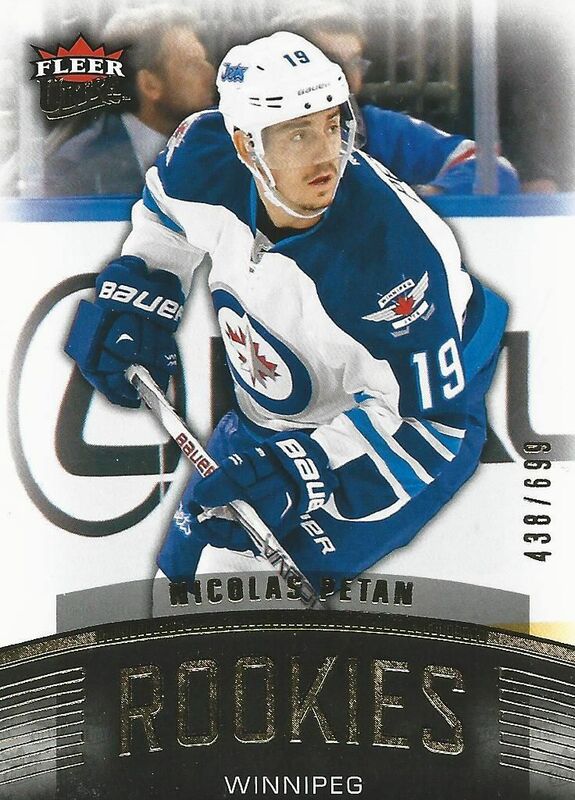 I really liked the three rookies you got (Petan, Ehlers, and Hellebuyck). 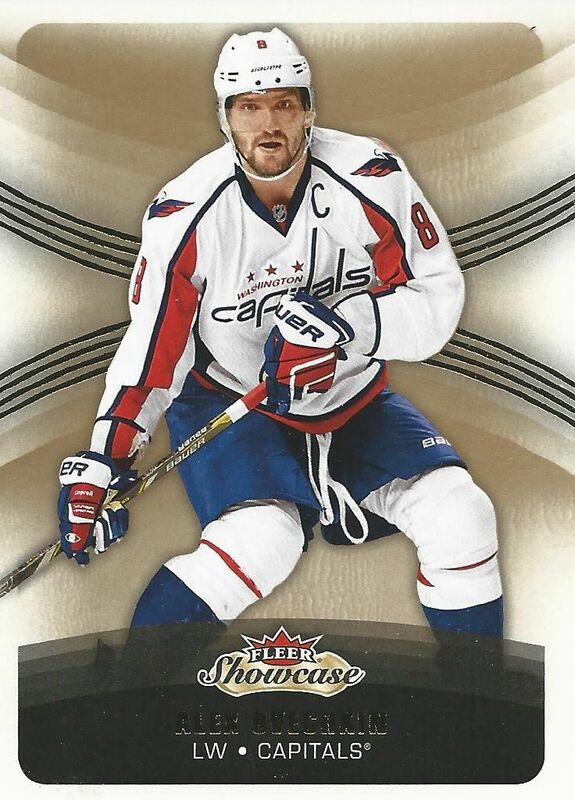 I would be so happy if I got a box like that so I would give Fleer Showcase 9/10. honestly one of the ugliest most rushed products i've seen this year. Definitely not worth the price, and just as disappointing as fleer ultra and MVP were when they returned. 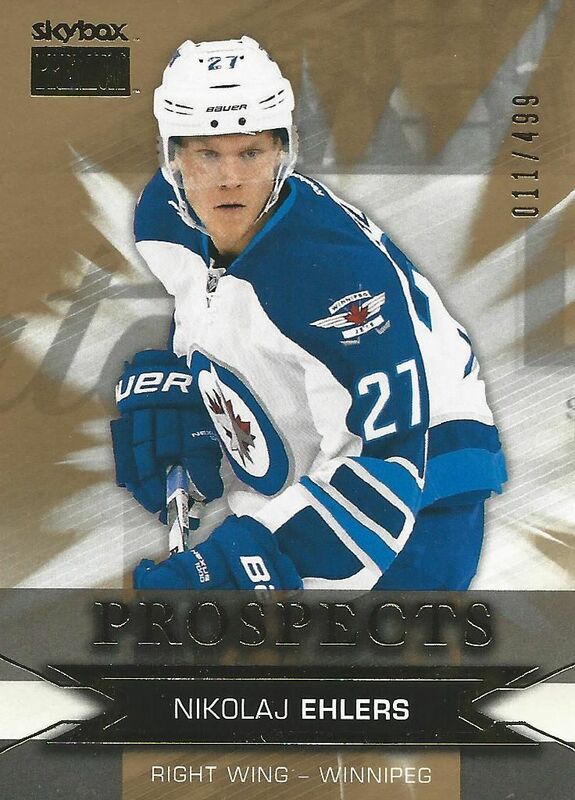 Prospect cards are DECENT, but pretty bad product overall. Go review the box sucked for price. Cool box! keep up the work! Great review. Cards look decent, but nothing special to compensate for the price of the box. Love those Jets' Rookie cards you pulled! Lucky guy! Thanks for another thorough review, Luke. I definitely agree with your 5/10 assessment for the quality you received in this particular box. Appreciate the opportunity to win a relic card from this break. Cheers! The jersey cards are cool but I still dont see the 100 dollars. Continue your great reviews!! Honestly, both base and inserts are nice looking but could be improved on.